PFS is a growing concern in Germany, too. Ditto Albania. 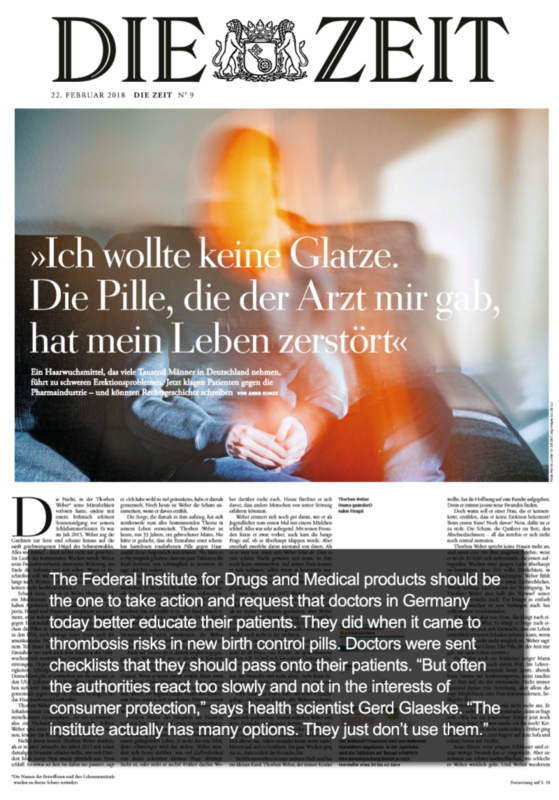 Now we’re encouraged to report that Die Zeit, Germany’s largest weekly newspaper, recently ran a 4,500-word feature on PFS, headlined I Didn’t Want to Go Bald. A Pill the Doctor Gave Me Destroyed My Life. 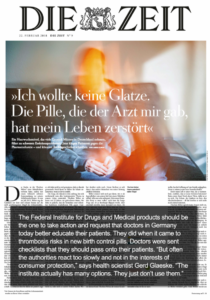 Written by investigative reporter Anne Kunze, the story focuses on Thorben Weber (not his real name), a German PFS patient whose life has been devastated by the condition. 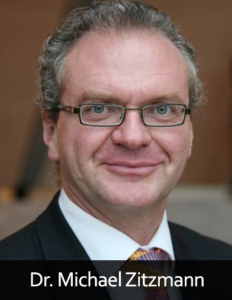 Fortunately, Weber mustered the will to live, and was eventually diagnosed with PFS by Dr. Michael Zitzmann, an andrology professor at the University of Munster, who is also among our volunteer team of health care professionals listed in the Patient Support section of the PFS Foundation website. Meanwhile Dr. Kim Drasa has been busy with a public-awareness campaign in his home nation of Albania. The President of the Albanian Urologists & Sexologists Association, who’s also among our volunteer team of Patient Support health care professionals, recently penned an op-ed in Gazeta Panorama, one of Albania’s best-selling newspapers, and its highest-trafficked website. 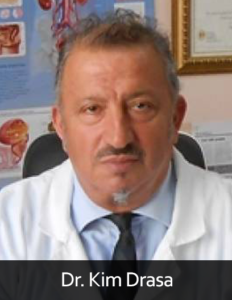 Titled Adverse Side Effects from Medications Used to Treat Enlarged Prostate, the article recounts Dr. Drasa’s own negative experience with the 5α-reductase (5ARI) medication dutasteride. 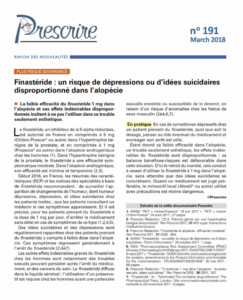 In France, meanwhile, we continue to see the impact of ANSM’s public-awareness campaign warning against depression and suicidal ideation. 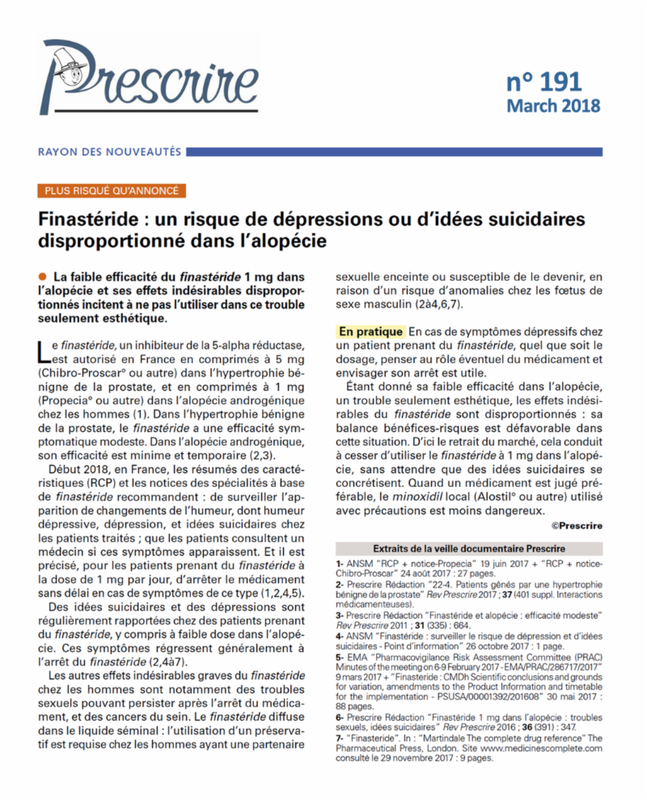 Case in point: the current issue of La Revue Prescrire, a medical journal wholly independent of the pharmaceutical industry, features an article titled Finasteride: A growing risk of depression or suicidal ideation in hair-loss treatment. In a Periodic Safety Update last year, the European Medicines Association recommended that finasteride packaging be revised to include warnings of depression and suicidal ideation. In all, there are 31 member states that could potentially take such action, seven of which have done so to date: Belgium, Denmark, France, Germany, Netherlands, Poland and the United Kingdom. Once again we’d like to remind all PFS patients who have not yet done so to report their symptoms to the FDA’s MedWatch program as directed here. Those living outside the US should also access the WHO’s Collaborating Centre for International Drug Monitoring list of pharmacovigilance agencies and report to their respective health agency.